To have a successful blog, one of your main focus should be to get a good amount of traffic to your blog consistently. There are so many things a blogger can do to increase page views and entice new readers to their blogs. 1. Share in Facebook groups. Provide your readers with a great user experience. Make it easy to find all of the content you offer on a given topic. You can do this by linking to other related posts in each blog post you publish. This will increase your page views, since your visitors will want to click around to read all they can about the topic. It also makes them more likely to share your content, since they see it as a helpful resource. You can interlink your content by creating text links, using a “Related Posts” WordPress plugin, or adding images that are clickable within each post. This also keeps your readers’ interests that will make them stay longer on your blog. 3. Make your blog mobile responsive. More and more readers are visiting your blog through devices other than a desktop computer. They may use a tablet or smart phone in order to read your posts. Because of this, you need to ensure that your blog is mobile responsive. The easiest way to do this is to test it through Google’s Mobile-Friendly Test. There are also a great deal of themes out there for WordPress blogs that come responsive out of the box. You may also be able to use a plugin to make your blog mobile responsive. If you worked with a designer on your blog design, ask him/her if your site is responsive so your readers don’t get frustrated and leave when trying to read your posts. Your headline is probably the first impression you have to interest someone to read your blog. It may be what they see on social media or in your newsletter. Make sure the headline is captivating. It needs to make them want to stop what they are doing and click to read your post. Ensure the headline grabs at their emotions or pain points, making them feel as though they MUST READ RIGHT THIS SECOND for a better life! CoSchedule offers a free headline analyzer that will make it easy to write compelling, emotionally-driven headlines. 5. Create two new pinnable images for each post. Freshen up older content by creating new images for Pinterest. Even if the original pinnable picture yielded a thousand repins, creating a new image could be even better. 6. Build your email list. An email list is one of the most essential assets for your blog. It is the more efficient way to reach all of your loyal readers to let them know about new posts, freebies and other offers. You can also let them know of any affiliate sales or deals on your own products.Email lists are much more effective than social media because sites like Facebook and Pinterest do not show everything to your followers. And even if they did, what are the chances your most loyal readers are on at any given time when you are sharing a post? The solution is to get right in the inbox of your subscribers. This greatly increases the chances of them coming to read your latest post, getting your blog more traffic in the process. I just recently signed up for ConvertKit and I am so excited about finally using it to grow my subscribers list and help increase traffic to my blog. It’s very easy to use and it’s got a lot of features that my old newsletter provider was lacking. There’s nothing worse than finding a great blog post, clicking a link to read more info, and landing on a 404 error page. If this happens, your visitor is likely to close out your blog and never return. It’s important that you stay on top of broken or dead links. Replace or remove them as often as you can. You can use the WordPress Broken Link Checker plugin to find all of the links you need to address on your site. Becoming an all-inclusive resource on your niche is a great way to get more traffic. Google and other search engines tend to favor longer blog posts, so long as they are filled with quality information and not fluff. Rather than breaking a topic down into three 500-word article, write a comprehensive 1500-word article on your topic. Your readers will thank you with comments and shares! However, make sure to avoid too much fluff and create a post worthy of your readers’ time. A long content with essential points will surely drive traffic to your website. 9. Keep your “About Me” page up to date. Since it’s one of the most viewed pages, especially by PR and brands that may want to work with you, it’s vital to keep your About Me page current. Start by including personal and family information. You don’t have to reveal your hometown or even real names. Just make sure you come off as personable. People want to know they are reading content from a real person. Also, it helps brands decide whether or not to contact you about a campaign. Though it’s called “About Me,” your page shouldn’t be just about you. Let the readers know what to expect when hanging out on your blog. Inform brands what you can offer them, should you choose to work with companies as part of your monetization strategy. Having a well developed About Me page can help grow your blog and income. (I know. Mine is still being updated as of this writing). 10. Make your sidebar work for you. Your sidebar is prime real estate on your blog. It shows up beside every post and page. Make sure this area is working to your advantage to drive more traffic around your blog. (Mine is a work in progress currently). Along with these 5 items, you may want to include buttons for fellow bloggers or networks you are a part of. Just make sure it doesn’t look too cluttered. And remember, the more widget and images you put in the sidebar, the more likely you are to bog down your blog’s loading time. Never thought about repinning new items to Pinterest, from my blog. Thanks for all the tips. Yes, “click-worthy” headlines are the must… Because it will be hard to attain the attention of the readers without the good headline. For me, longer or shorter content do work (for my own experience) because I molded myself into such format that people like to read. And… eMail list is definitely the MUST! So, thank you for the good cover of the topic! Thanks for the tips! I guess I need to review some of my links as they may no longer working. I need to fix my dead links. Great tips!! I’m really trying to work on better headlines for sure!! Great tips! Blog traffic is a complicated game, especially if you have no clue where to start. It’s important to use all the tools that you can. These are some great points. I should do a check for broken links on my website as well soon. Thanks for the great tips. these are all great ways to help increase blog traffic. Thank you for this! I do some of these but I need to work on the others. I recently updated my About Me page and have been creating new pins for my older material. I’ll have to see about implementing these other great hacks. Thank you for all of these tips. Traffic is so important for a blogger. Great tips! I really need to go back to my older content and add more links! I knew about some of these, but I didn’t know about a couple of them! Thank you so much! I really need to work on my subscriber list. It’s actually a goal of mine this year, but I haven’t even given it a second thought since I made my goals. These are amazing tips! I am planning to start my blog and I need every tip I can get! Absolutely amazing!! Great tips!! I just updated my About Me this week. Can’t wait to see which FB groups you suggest. It is always important to update your blog. Always make sure that every item works perfectly and the post will be constantly interesting to the readers. Your tips will be a big help and guidelines for every blogger. These are great tips. I’ve been updating my blog to be more “usable” over the last few months and have noticed more traffic for sure! Love the Pinterest tip. ThinkI need to go back now and create some new ins for old posts and see if they generate any more traffic! Thanks for these great tips! Sharing this on social so others can benefit too. This is really helpful information. I do a lot of these but there are a couple I need to put into action right now. I’m amazed how many blogs I see that have broken links or the about me is not up to date. Simple things to check. Great suggestions and tips. This is all such great advice! I am already doing some of these things but it doesn’t hurt to try the others. I would say I have about 50% of this list covered. That is what I LOVE about blogging…there is ALWAYS something else to work on. This is a great list – thank you! It motivates me to do more! People shouldnt understimate the power of a good pin! Pinterest is great traffic for blog so we should all be making as many pinworthy images for our post! I need to use the blog linking in more of my posts. Great tips! Thank you for these tips. I do join blog networks and participate in social media sharing to increase my blog traffic. I will try your other tips and hopefully, it will work wonders on my blog too. These are great hacks. I will have to give them a try. I am always looking for ways to increase my traffic. I agree with all of this! Without hacks like this I don’t think my blog would be as big as it is. I will definitely book mark this as a reminder in the future. Thank you for posting this useful article. I will be sure to utilize it! These are great hacks! Simple yet very useful! I haven’t tried some of these so I’m excited to give it a try! Thanks for the reminder! MY Bio needed a refresher! Thanks for the great tips! These are some really great tips to increase your blog traffic. Keeping your “about me” page is a very important one to keep up with. These are excellent tips! I am taking notes! I love this advice! I need to take a day or two and reshape my blogging habits to include some of these techniques. These are great tips. I always hate going to a blog I am interested in and not seeing an up to date about me page. I am sure brands are the same way. I can definitely see how people could overlook that. It’s definitely something to keep updated. These are great tips! It’s really important to utilize all the tools that you have especially social media. It’s a great way to drive traffic, without a doubt. All of these things equal sucsess! 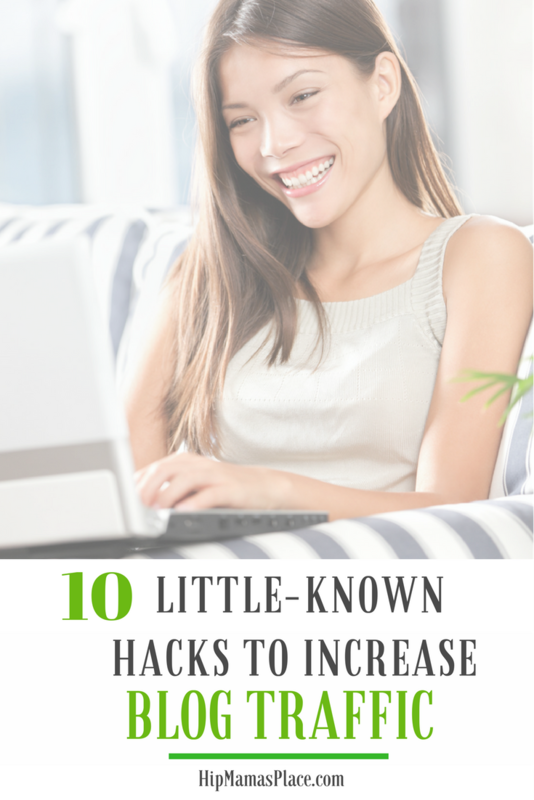 It can be hard getting more traffic but these are great tips. This is a very smart list! I am following one of your guidelines by being here! I love how we support each other! I definitely need to update my About Me page. Life gets busy and I often forget to keep this on my radar. Thanks for the reminder. I’ve already bookmarked this for future use. Traffic is the lifeblood of a blog, and I can do more to get it, I will.